First of all, I actually have a 07 Accord V6, but the transmission is about the same for the Acura TL. I have nearly 280k miles on the clock and the second gear clutch pack is slipping occasionally. I can feel most of the issues when crawling at very low speed, RPM between 1000 to 1500 rpm. Cruising at high speed is fine. The much dreaded thing started happening recently. I have been doing 3 drain and 3 fill every 30k miles with 50k 3rd and 4th gear pressure switch changes religiously, I even have an external B&M stack/plate cooler. But clutch packs will wear out no matter what over time. I never get a lot of friction material on the drain plug magnet in between changes. Yes, I did another 3x3 recently after detecting what's going on. The transmission feels better but the shuddering and "lumping" feeling is still there at lower speed. This car is too reliable to give up. So I'm looking for a reputable and reasonably priced transmission rebuild shop in the greater Chicago area in the suburbs. But clutch packs will wear out no matter what over time. Agreed, sooner or later the clutches will be gone, regardless of how well the transmission was taken care of. I never get a lot of friction material on the drain plug magnet in between changes. And you never-ever will. Why? Friction material is non-metallic and as such, it will never be attracted to the drain plug magnet. I had the same problem a few years ago when the one in my wife's Accord went out. Seemed like all the reviews from people having the TL/Accord trans done,,,,were back in the shop 30k miles later with 3rd gear clutches toast. I did a full writeup of the rebuild on another site, using this same handle. If you are able to do any DETAILED engine work, you could handle the trans. IIRC the only special tools I needed was a huge socket to get the 3rd gear clutch pack off. Find a shop that will install the Translab shift kit, makes a huge difference. Can you elaborate on the translab shift kit and the difference in feel compared to OEM trans? thanks. I have located a shop, via the odyclub forum. It supposedly improved flow to 3rd gear clutch, and better cooling. It is also similar to the old shift kits we put in hot rods back in the day.......I figured I would go mid range on it. The trans is noticeable going into all 5 gears. Not harsh, but noticeable. Downshifting can be a bit harsh though. I felt an immediate difference in the car. But I did it 5 years ago, and its got almost 50k miles. No problems with 3rd gear at 30k miles. Still hits 3rd as solid now, as when I first built it. All that material will be in the internal filter. The only access to it, is cracking the main case of the transmission. When I did mine, it was full of material, and 3rd gear clutches were gone. 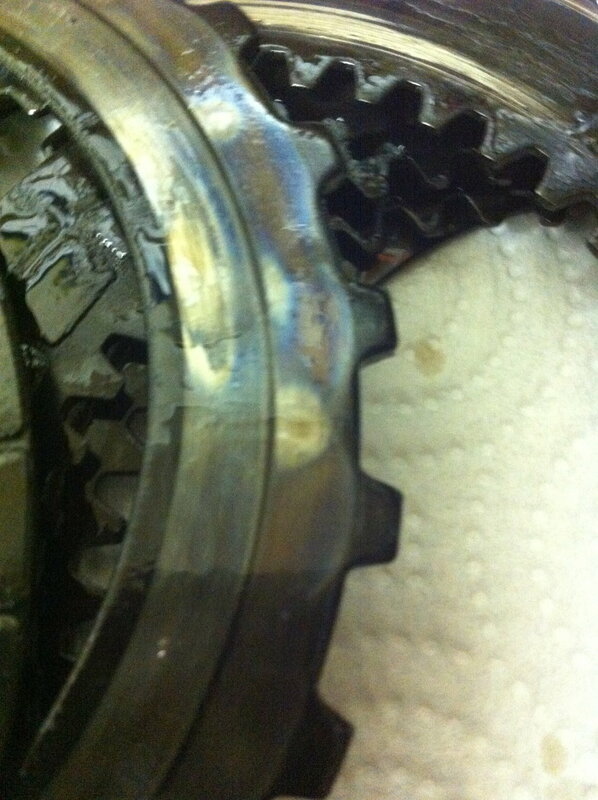 This is a pic of the 3rd gear clutches I pulled out. And here's a pic of the internal filter. Thanks so much for that. I will be inquiring about the translab shift kit when I go get an estimate on this rebuild next week. I will provide it myself if the shop somehow can't get it. I don't care about shift feels, I can feel the shifts right now with a B&M cooler upfront. It's better that I can feel the shifts. I bought mine on the web. Just let them know to keep it on the "low" pressure version. I think I threw the directions away, but it guides though how to get soft, medium and hard shifting. If you're in my neck of the woods, you're welcome to come try out the feel of the two cars. I've got the TL and the Accord. The TL trans was built by someone else, that just did a base factory rebuild. I did the Accord with the kit and upgraded valves. Last edited by 74f100; 04-24-2018 at 07:35 PM. BTW, anyone thinking about attempting this. The engine and trans will come out together from the top. The first time I did it, I dropped the sub frame. That just sucked without a lift. The second, I pulled them both out the top with a hoist. Can pull the engine and trans together easily in about 6 hours. I received an estimate today of between $1900 ~ $2200 worse case scenario. The installer would put in the Translab shift kit when I supply it. They will also put in a new rear main seal. I will be stopping by the shop next week to take a test drive with a tech with a scanner hooked up to see the transmission's responses to various driving conditions. I don't have a second car to use nor do I have even a transverse engine support,or the time to do this myself. Which translab kit did you get? I'm thinking it's STL-HO5-388. The transmission just died on my 06 TL and looking at a rebuild I keep seeing references to the shift kit but never a part number or a link to the product that fits or transmission. The translab site doesn't even list the 3g TL as compatible but the 07 accord (Baya) is listed for the part number I put above. 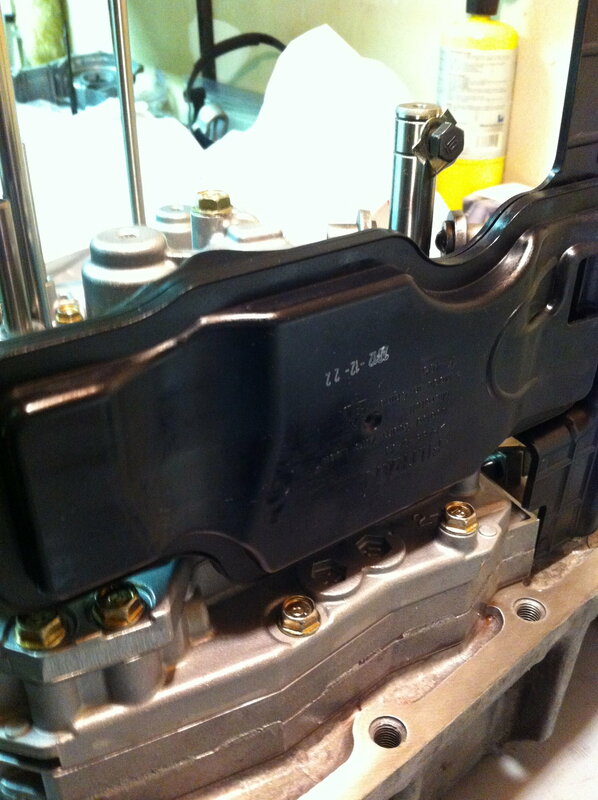 Look at the transmission code on the transmission's outer casing from the front of the engine. If the code matches one in that kit then you can install it. These transmissions are all about the same. I've been on the rebuilt trans for almost a year now, 20k miles on it with no issues. Raybestos clutch packs. Now running Valvoline Maxlife fluid, B&M external trans cooler with cold temp bypass which I've had since before the rebuild. Honda "AV6" ....BAYA or MAYA ?